What does Yehoshua mean, details, origin, short & easy attributes? From the hebrew Yeshoshua, meaning "Jehovah is salvation". It is the name of several characters within the Bible. Yehoshua pronunciation in 20 different native languages. Yehoshua is baby boy name mainly popular in Christian religion and its main origin is . Yehoshua name meanings is Derived from the Hebrew Yehoshua. Other similar sounding names can be Joshua. Popular personalities with Yehoshua Name. Yehoshua was born in 1958. Yehoshua was born on November 12th, 1911 in Vishnyeva. He breathed his last breath on August 14th, 1979. Yehoshua Feigenbaum is a soccer player for the Hapoel Kfar Saba F.C., Hapoel Tel Aviv F.C., Shimshon Tel Aviv F.C., Hapoel Jerusalem F.C., Hapoel Ramat Gan Givatayim F.C., Hapoel Haifa F.C., Beitar Ramla F.C., and Israel national football team. Yehoshua was born on December 5th, 1947 in Jaffa. Yehoshua was born in 1922. He breathed his last breath in 1986. Yehoshua Glazer is a soccer player for the Maccabi Tel Aviv F.C., Hapoel Kfar Saba F.C., Beitar Nes Tubruk F.C., Beitar Jerusalem F.C., Sektzia Nes Tziona F.C., and Israel national football team. Yehoshua was born on December 29th, 1927 in Tel Aviv. Yehoshua was born on February 15th, 1927. He died on June 11th, 2013. A. 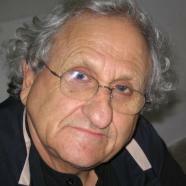 B. Yehoshua is a writer. A. was given the name Avraham B. Yehoshua on December 9th, 1936 in Jerusalem. Other Personalities with Yehoshua Name.